Your life is not out of control. Although you can’t command circumstances that befall you or the antics of the world around you, you can control your reactions and worldly interactions. Your reality is yours to create. If you insist on abiding in the shadows, you will eventually end up in the dark. Choose to claim joy as your guide and invite it in to stay awhile. Feel the light that it brings. There is danger in passivity. Passively waiting for good things to find you broods weakness and multiplies excuses when things don’t go your way. Make the conscious choice to be proactive in all that you do. Choose your reality and be an architect of joy by being truly grateful for all that you *do* have. Just like a pebble thrown into calm water, your gesture of joy will ripple out from you into wider and expanding circles. Imagine the effect you could have on yourself and the world around you. Today, pledge against passive and take a stand for your own happiness. 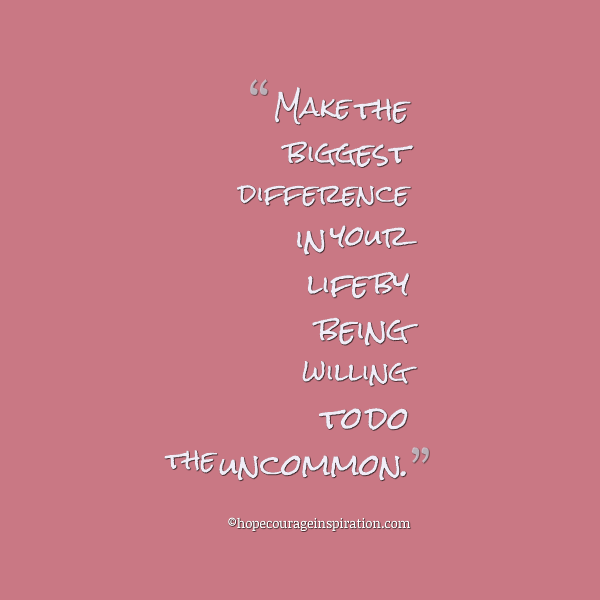 Don’t wait for the tide to roll with you, but decide to swim upstream and make the biggest difference by being willing to do the uncommon.